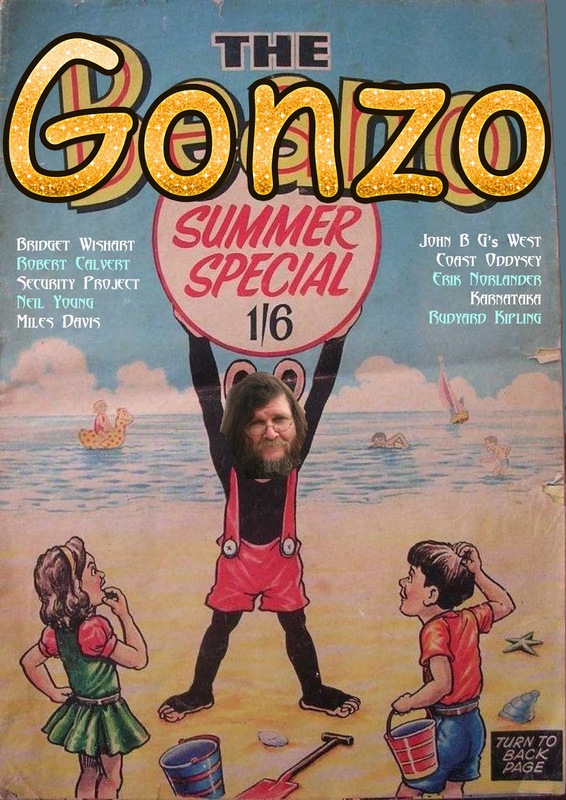 This weekend you are going to get a bumper issue - The Gonzo Summer Special with a mixture of old and new stuff for your delight and amazement! We interview Bridget Wishart and Ian Jones from Karnataka, Alan goes to see Neil Young, Erik Norlander's new album, John B-G goes on a pilgrimage to the West Coast of America, Doug eulogises Security Project, Orrin talks about German psychedelic folk, we send the legendary John Hughes to a desert island, Jon reviews a book by and about Frederick Forsyth and burbles on about British comics, we interview Karnataka about a very special concert, while Corinna talks about shopping with mother. Just another day chez Gonzo.